Introduce a line of exotic teas from around the world as an extension to their current Classic Teas. Do it in a way that stands apart from the many other teas on the grocery store shelf. 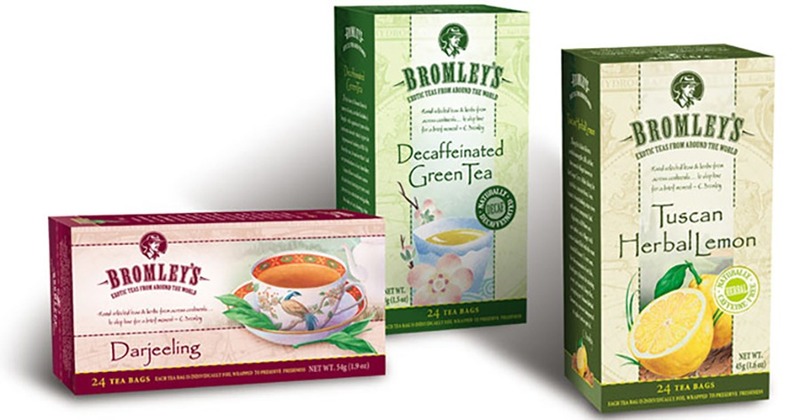 Dating back more than 30 years, family-owned Eastern Tea company, now Bromley Tea Company, was the first tea company in America to produce a decaffeinated tea. Our story of a fictitious adventurer named Bromley who travels the world in search of exotic tea flavors was brought to life through twelve products we named and packaged. 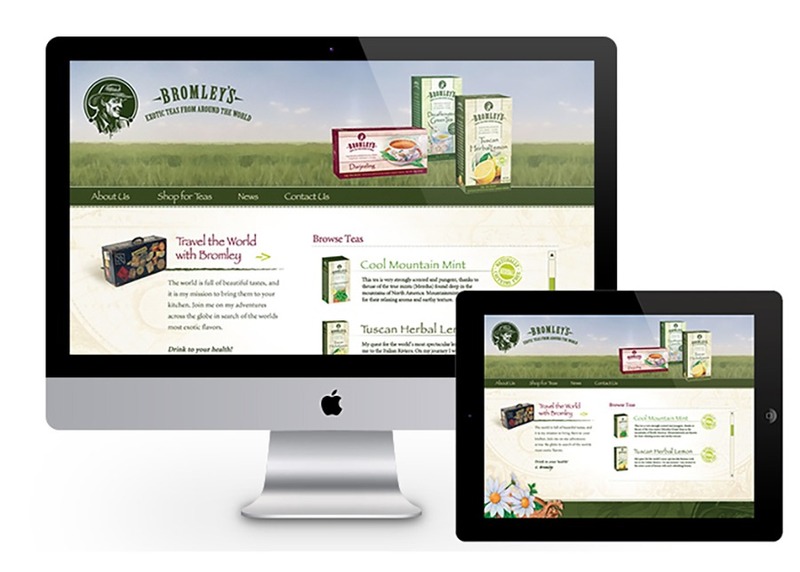 We designed a website that lets consumers travel around the world with Bromley in search of his exotic teas. +28% vs. sell-in forecast across specialty retail and food service.